Part 2 of my day was more of a despairing one. 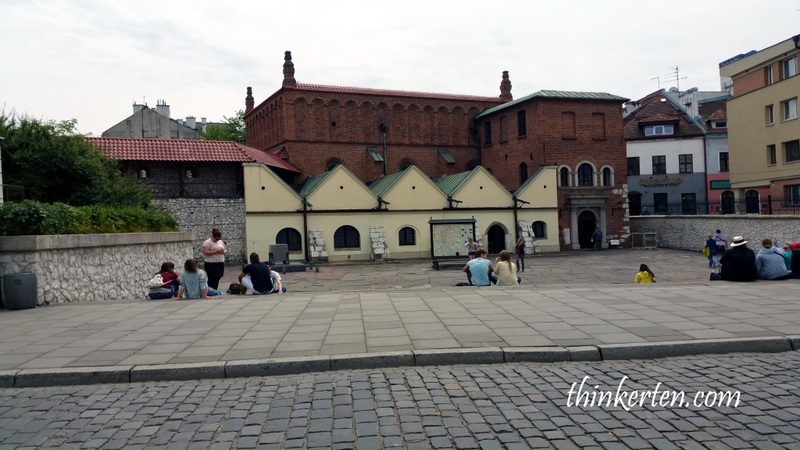 Jewish Quarter is center of Jewish life in Krakow for over 500 years. This place attracts many curious tourists including me to find out the city’s Jewish community once lived in before world war II. Nowadays, there are many nice restaurants and fancy cafe in Al Fresco dining setting in the neighborhood. We had our lunch at Jewish Quarter that afternoon. It was ashamed I did not have many nice pictures of this lively neighborhood. 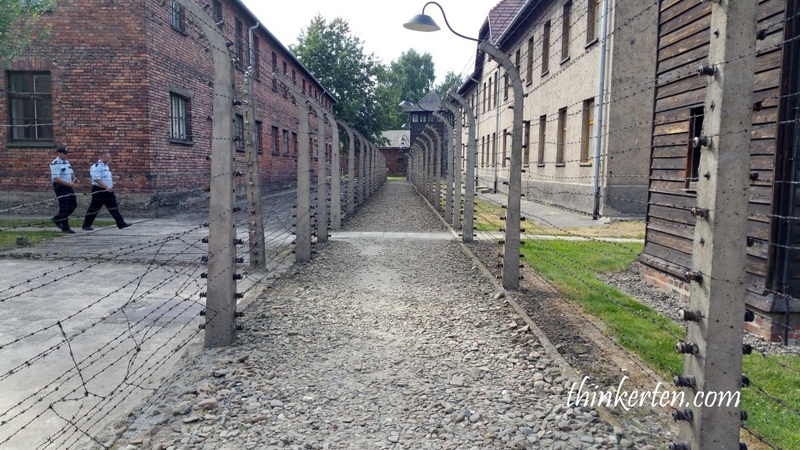 Few scenes of the famous movie called “Schindlers List” was filmed here by Steven Spielberg. This place look familiar especially after watching Schindlers List in the coach before coming here. 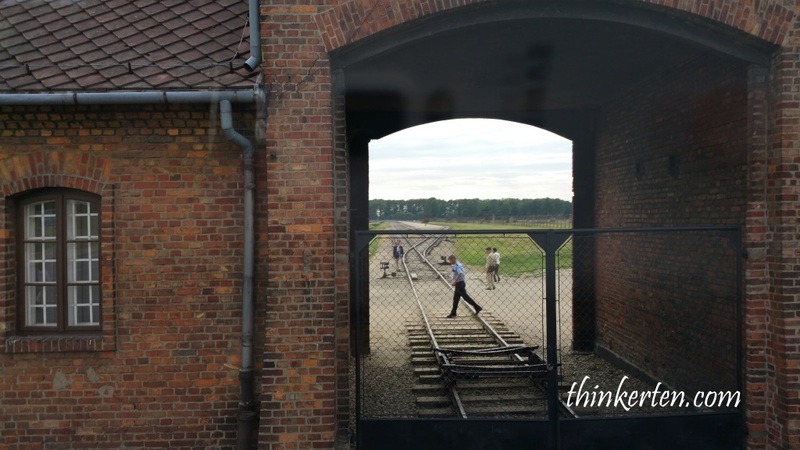 It is both scary and sad to visit Auschwitz Concentration Camp, especially after watching “The Pianist” and “Schindlers List” movie. 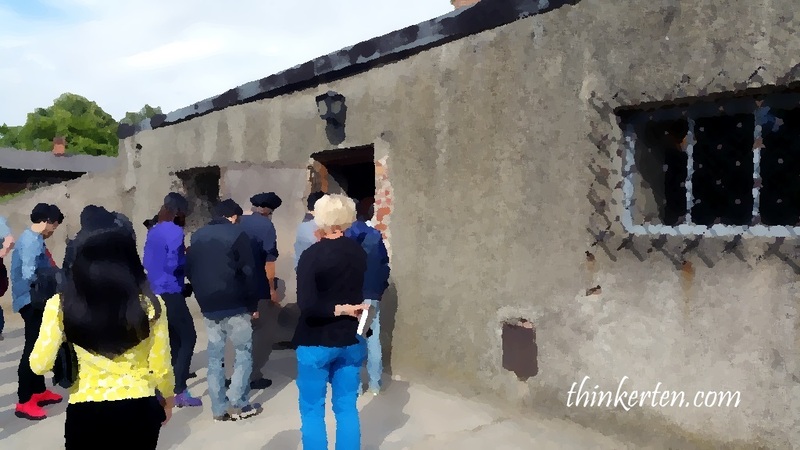 Everyone walked in solemnly in the camp as if we were one of the prisoner. There was not a single visitor laughed or giggled when entering this camp. 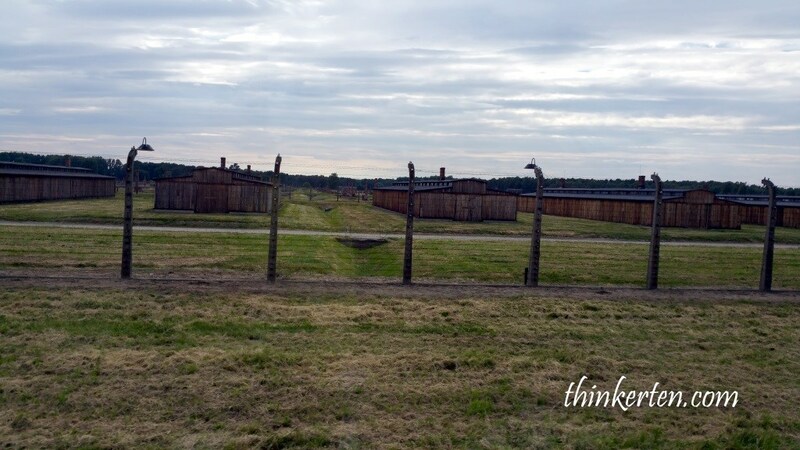 Auschwitz was the largest of the German Nazi concentration camps and extermination centers. Over 1 million Jewish men, women and children were killed here. There was a qualified English guide explaining this camp throughout the 1 hr tour. Jewish around these areas, Rome, Budapest, Berlin and many nearby cities (see map above ) were all sent to this concentration camp. There are series of brick buildings arranged in rows around a central pathway and a wooden watchtower overlooking these brick buildings. Electrified barbed wire separated the compounds from one another. 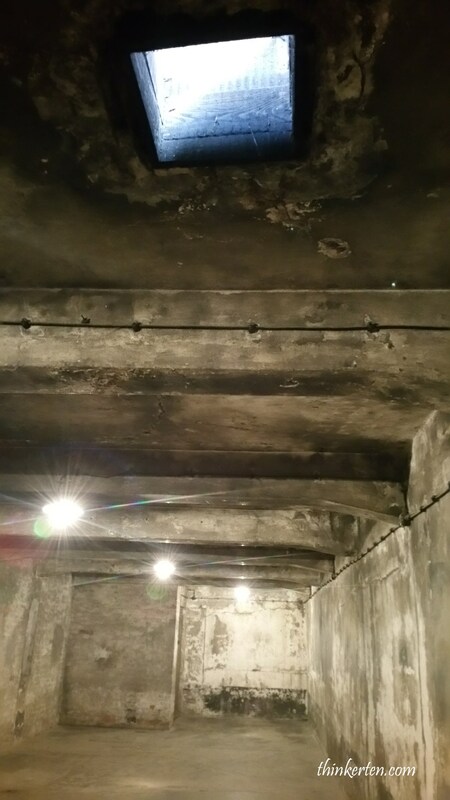 Gas Chamber is a seal room that used toxic gas to do the brutal mass killing back in Nazi time. The lady in blonde was our English Guide for the camp tour. The door that we now entered to see the gas chamber is exactly the same door that the Jewish victims entered. You need to have a lot of gut to walk in. All visitors solemnly walked in with their head down as you can see from the above picture. There is a glass winder on the top but it was sealed. My imagination ran wild once I entered this scary dark room and strangely I felt a sudden chill once I stepped inside the Gas Chamber. Just thinking of thousand of innocent Jewish get killed got me mad and emotional. There are many buildings that are open to public and act as a museum, showing different aspect of prison life. Used poison in cans were displayed in the museum. 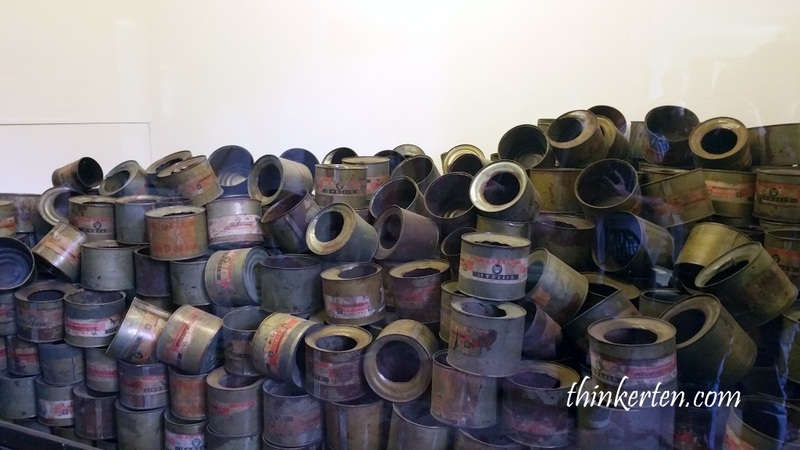 The can poison was used in the Gas Chamber to kill million of innocent lives. 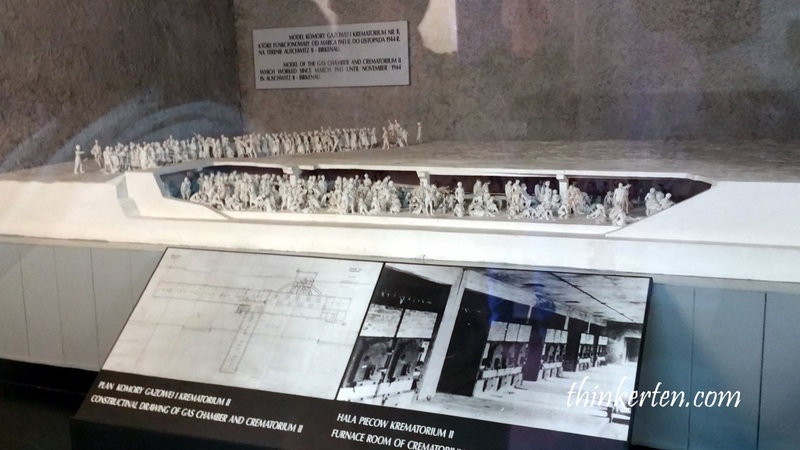 The museum also housing items belonging to victims: suitcases, spectacles, clothing, hairbrushes, man shoes and women heels and hundreds of kilograms of victims’ hair. It is quite scary and sad to watch the victims’ belonging. This was not an easy tour that everyone can handle but I am glad I was there to learn about the past.